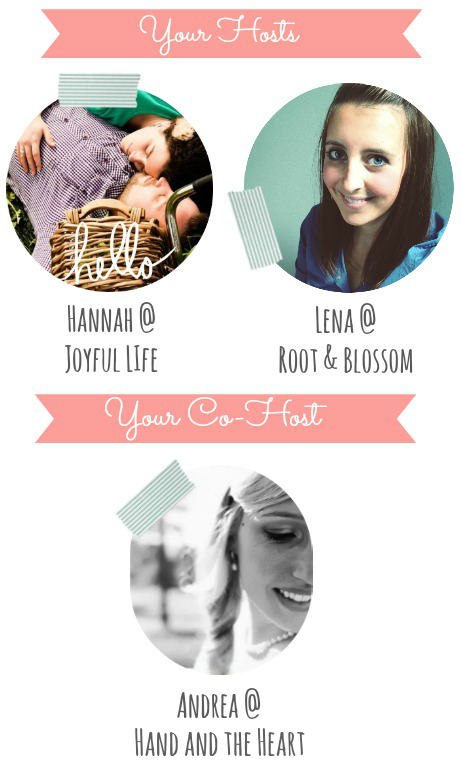 When my dear friend Anna Kate told me to check out Hannah at Joyful Life, I was smitten at first glance. 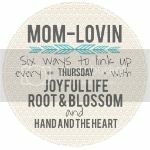 Not only is her blog adorable, but she writes beautifully about motherhood, homemaking, and so much more. I've loved Hannah's huge sense and drive for community and will always be a sucker for a good link-up (you already know this by now!). 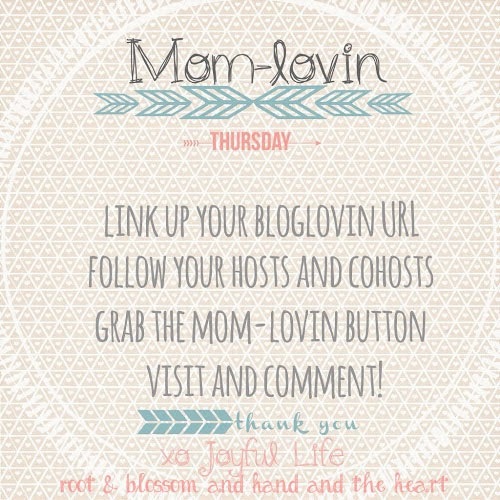 So I am more than honored to be able to co-host with the lovely ladies of the Mom-Lovin Hop. Link-up with us and join our mini-community of like-minded bloggettes. Can't wait to meet you all. Jenna was our featured mama last week and this week she was lined up to be our Guest cohost! 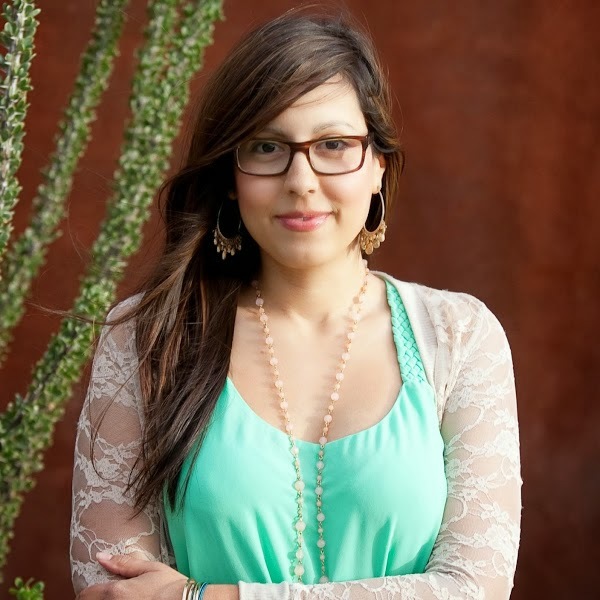 Jenna is one of the most encouraging and genuine people you will meet in the blog world. She is a mom of 3 and shares the stage with 5 other contributers over at A Mama Collective. They write about motherhood, parenting, and share a lot of love. Pop over to say hello. Ok, Ok I know, you all know Andrea because she is our lovely cohost! We thought we would feature Andrea today because she is ending her time as cohost with us here at Mom-Lovin. We have SO enjoyed having Andrea as a cohost and we look forward to her linking up as a regular mama and hoping over to see what she is up to. If you haven't headed over to Hand and the Heart yet you are missing out! 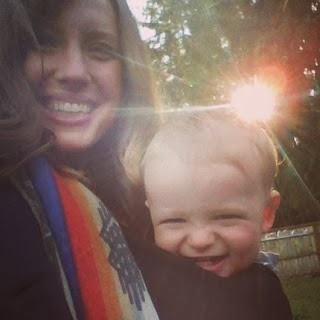 Andrea has a beautifully real way of sharing her heart; she writes about motherhood, babies, birth, and healthy living. Andrea thank you so much for cohosting with us for many many weeks! We are also excited to announce that Amy from Keepin Up With the Smith's will be joining us as a permanent cohost. We love Amy's blog! 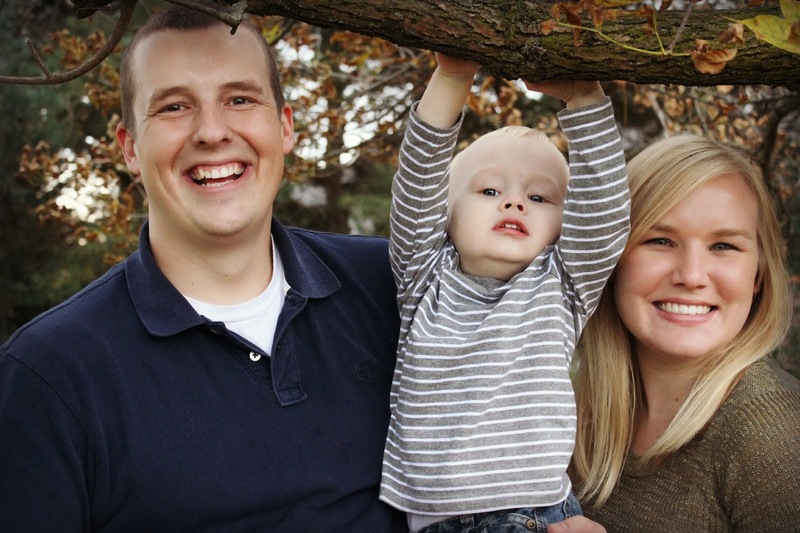 She writes about being a mama to her sweet boy Cash and their life as a family of three in Wisconsin. Amy will be joining us next week and we can't wait to have her as a part of the Mom-Lovin Community. If you are new to the hop or have been here but haven't left a comment, please let us know on our own respected blogs that you are a new follower (be sure to say HOW you are following) so we can follow you back!